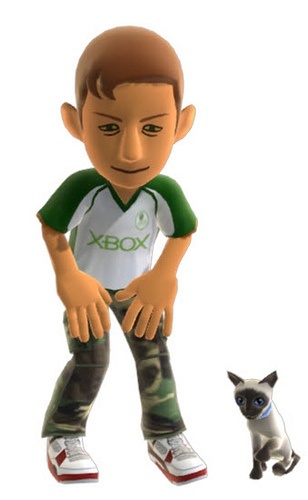 Now Your Xbox Live Avatar Can Have a Pony! That sound you may hear is Escapist Senior Editor Susan Arendt squealing in delight. It's no secret that people love their pets. There's just something heartwarming about having a little furred (or feathered, or scaled) companion in your life, and we'll shower our animal buddies with affection even when they wake up up at 3 AM by sneezing in our face while curled up on our chest. "Large Dog, Pug Dog, Dog in Bag, Cat, Siamese Cat, Long Haired Cat, Goldfish, Guinea Pig, Monkey, Bird, Snake and yes... a Pony." Given the fondness that we here at The Escapist have for all things pony-related, we applaud Microsoft in this brilliant initiative and hereby request that the folks behind this consider adding the one thing that could be better than a pony - a unicorn. You can check out some of the pet pictures on Major Nelson's Flickr.